I know March ended ten days ago, but unlike forgetting to share my February favorites (see January here), I figured we could go with the better late than never sentiment when it came to my favorite picks for March. It definitely took some thinking to come up with this month’s list, but every time I thought of something, I couldn’t help but question why I didn’t think of it sooner. Below are some of the things I’ve been loving this past month. Since most of March wasn’t quite warm enough to bail on sweaters entirely, I depended on these earrings to accessorize outfits to look more seasonally appropriate. Fittingly named the Cherry Blossom Stud, they are the perfect size to be worn with everyday outfits for a slight statement. The iridescent petals and gold center make them match most outfits, and I have no doubt that I will continue to reach for them all spring and summer. Hearne Dry Goods was a new to me brand, but with beautiful jewelry and a commitment to giving back I know I’ll be checking their site often to shop their pieces. When I need a haircut, I get to the point where I am about ready to just chop it all off. I hate the look of unhealthy hair, and as someone who uses a lot of heat to style, mine haircuts are essential. Beyond haircuts though, I haven’t done a ton to keep my hair hydrated and healthy at home. 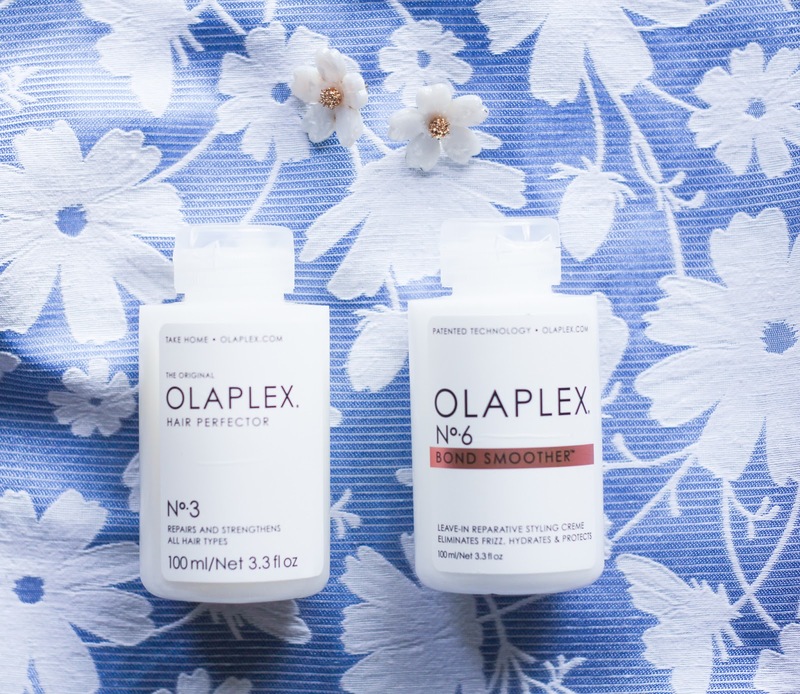 I had heard a ton of talk about Olaplex all at once, and after staying up too late researching what the product does for your hair, I finally decided to try it. I purchased the no. 3 and no. 6 products and have been very impressed. Olaplex no. 3 is a deep conditioning treatment that I’ve started to add to my routine every two weeks. You put it in your hair when it is wet and then rinse it out and follow up with shampoo and conditioner later on. I tend to do this on Sunday when I know I’ll be at home and can leave it in for a while (usually 3 or 4 hours). Olaplex no. 6 is what I use on my hair after I shower and before I blow it dry to help protect it from the heat while also hydrating and protecting against frizz. If you’re only going to snag one of these make it the no. 3 even if solely based on the fact that it makes your hair unbelievably soft. This product has been in my cabinet for so long that I forgot that it existed. I was fortunate enough to receive this in a PR package a while back and happened upon it when digging something out of the depths of my bathroom cabinet. I remember a friend saying it looked cool and that she wanted to hear how I liked it once I tried it so months later I can finally say I’ve given it a go. And…I love it! My face gets very freckly in the summer even when I load up on sunscreen that a lot of times I can’t tell if I look tan or if my freckles are just starting to run together. With this product, I feel like I actually look tan without any hint of orange. I use it every other day and apply my regular lotion directly after as an additional way to make sure I’ve covered all of my face. I’ve never had any issue with it looking unnatural or streaky and the fact that it moisturizes at the same time makes it the best way to add a natural glow to your face. If you’ve seen cute clothes on my Instagram or Instagram stories lately, they are more than likely affordable pieces I’ve found from Shop Minette. I did a whole blog post about the shop here so I’m not going to elaborate too much, but if you haven’t checked it out and have a similar style to mine then it won’t take you long to fill up your cart once you do make your way over there. The owner, Erin, is so sweet and makes such a point to bring cute clothes to her site at a price that won’t break the bank. The Libby App has completely changed the game for me when it comes to reading more of the books that I’ve had on my list. I guess reading is a stretch since instead, I am listening to them. I shared the books I’ve read and listened to in this post if you’re curious! The very best part of the Libby App is that it is free with my library card. I know some libraries may use a different app to provide this service, but if you haven’t looked into whether or not you’re able to check out audiobooks directly from your phone, it’s worth checking. The only real difference I’ve noticed in this app compared to say Audible aside from the Libby app being free is that on Audible there isn’t a waiting period when listening to the books. On the Libby app, there is a fixed number of copies available to everyone using it meaning that you may have to wait a while for the book on your list to become available. I haven’t had much of a problem with this since at any given time I tend to have 10-14 books on my hold wishlist and two books ready to go on my shelf. As long as you’re not super picky when you choose to read certain books you should always be able to find something available that you’re interested in. Currently, I am listening to The Other Woman. I’ll be the first to admit that I can be a little bit of a workout clothing snob. It’s not the best quality, and honestly, it’s one that I think that I am sort of growing out of. I do LOVE my Lululemon pieces because of the quality and how long they last but lately have been shocked by the number of places I can find similar quality pieces for a fraction of the price. 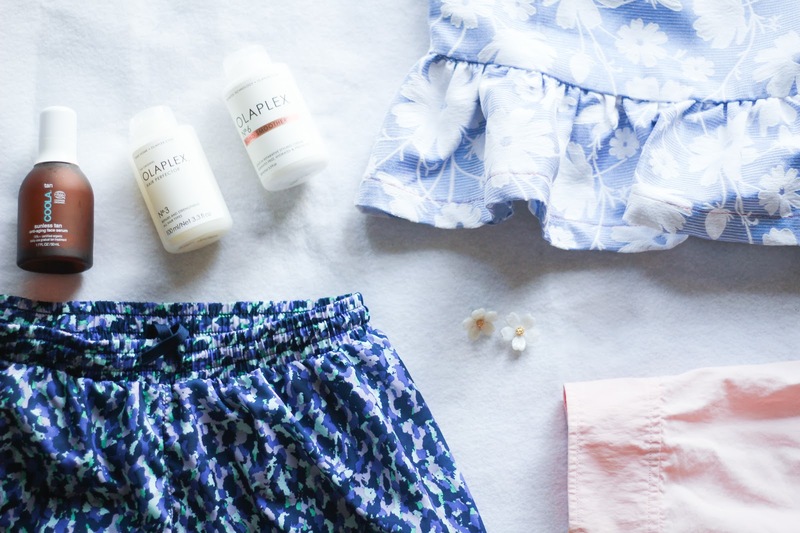 I raved about my favorite Amazon workout wear back in this post and have a new pair of favorite shorts that y’all need to know about. I tried these Old Navy workout shorts because they were on sale and am so glad that I did. They are loose (which I like), are lined, aren’t too short, and stay exactly where I put them on my waist even after a long run. I’m hoping they come out with new, fun patterns soon but for now, you can see the variety of color options here (I’m wearing them in a small for reference). Y’all are probably sick of hearing me rave about this rain jacket, but here we are again…After a lot of rain lately, I am just very glad to have something that keeps me dry and makes me smile. Mine has held up so well over the past year and looks as bright as ever. 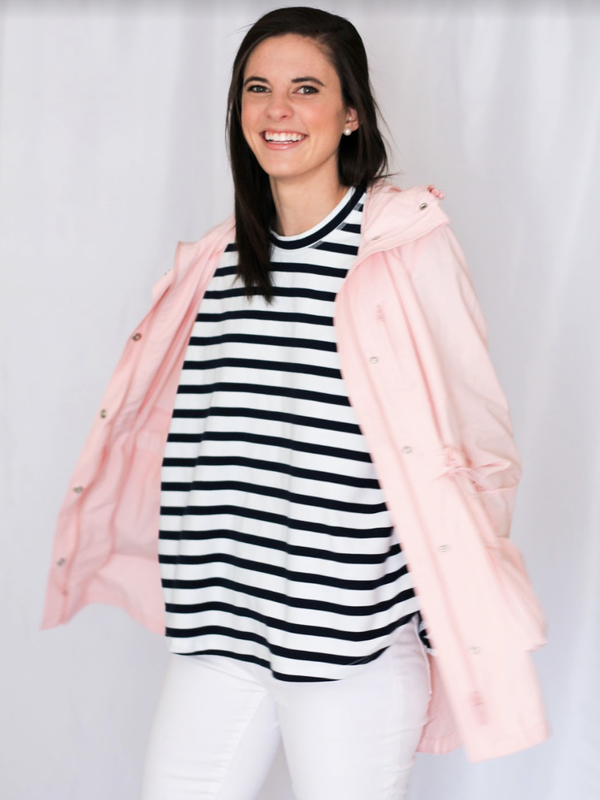 If pink isn’t your thing, there are plenty of other colors in this jacket here, and I also shared a post with other cute rain gear if you’re looking for a different style. Bottom line, if you don’t have a rain jacket, you love then you may want to get one! What have been your favorite finds from the past month?